Opal Cliffs Auto Center provides quality auto repairs and routine maintenance services in Santa Cruz and the surrounding area. Since 1966, we have been offering a range of auto repairs and services, including brake repairs, timing belt repairs, suspension and steering repairs, Auto AC repairs, auto diagnostic services and much more. Free Tire Rotation and Brake Inspection! At Opal Cliffs Auto Center, our team of ASE-certified technicians uses state-of-the-art equipment to deliver high-quality solutions. Our range of services includes oil changes, wheel alignment and Balancing, transmission replacements, engine light diagnostics, check engine light diagnostics and much more. 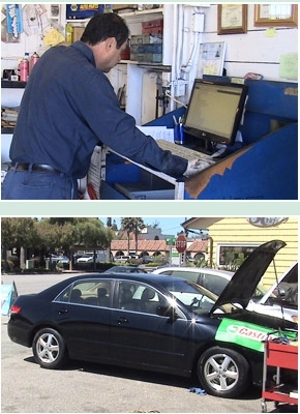 We not only service your vehicle but also diagnose and repair it if an issue occurs. For more information about our auto diagnostic and troubleshooting services, speak with our courteous staff today at (831) 515-6707.